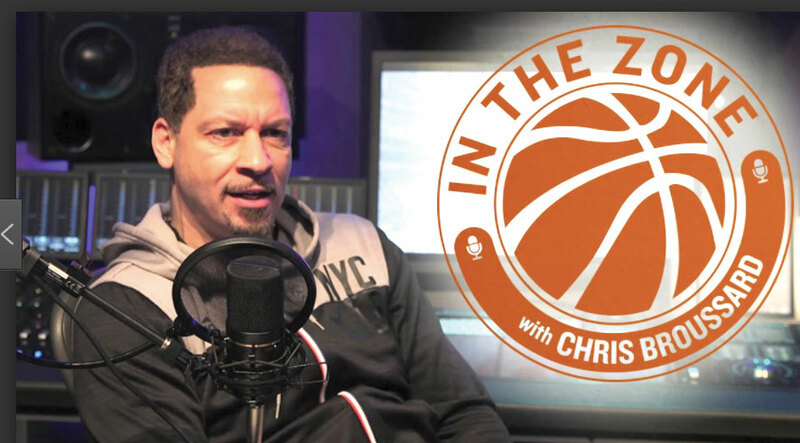 In 2013, Chris Broussard made news when he appeared on ESPN’s “Outside the Lines” to discuss the news of former NBA player Jason Collins, who admitted in a Sports Illustrated article that he is openly gay. After working 12 years on ESPN, Broussard is now on Fox Sports and hosts a weekly podcast. Though some expected him to face chastisement from the sports network, Broussard recently shared in a Sports Spectrum podcast that he did not experience punishment by ESPN. He said a network executive did call him after the show and said, in order to avoid much attention, ESPN would keep him off screen for a few days. In less than a week, Broussard was back on TV, covering the NBA. In his appearance on the Sports Spectrum podcast, hosted by Jason Romano, Broussard shared more details involving his appearance on “Outside the Lines,” and he shared how his faith in Christ began. Chris Broussard, right, interviews LeBron James. Broussard went to church with his girlfriend, and he was impressed with how “everybody was excited.” He also said the pastor spoke that morning about giving his life to Christ when he was 16. Life went on for Broussard, but he soon experienced many great opportunities. He got an internship with the Cleveland Plain Dealer, which turned into a full-time job as a sports reporter. But even in all his good breaks, he said he felt miserable. “I didn’t want Jesus to be my Lord. I wanted to be my Lord. I wanted to be my own boss,” he confessed. Then, he realized, even if he had everything the world could offer, he would still be miserable. On his 21st birthday, Oct. 28, 1989, Chris Broussard gave his life to Christ. On the podcast, Broussard told what he believed prepared him for his famous appearance on “Outside the Lines.” He said he was on a 21-day fast, and on day seven is when he went on the show. “I believe God was preparing me for what was to come with the onslaught, media criticism and all that, even to give me the strength for what I said,” Broussard admitted. Even today, he is confident in what he declared on national television that day. Broussard started a ministry called the KING Movement. “KING” stands for “Knowledge, Inspiration and Nurture through God,” and the ministry is to help strengthen men in their walk with Christ. The way Broussard described the KING Movement, the ministry is designed to help Christian men be accountable to each other and encourage each other in the faith. The ministry appears to be similar to Men’s Rewired, sponsored by the Baptist General Convention of Oklahoma. Visit www.menrewired.com for more information. The Sports Spectrum podcast featuring Chris Broussard can be found at www.sportsspectrum.com/sports-spectrum-podcast.